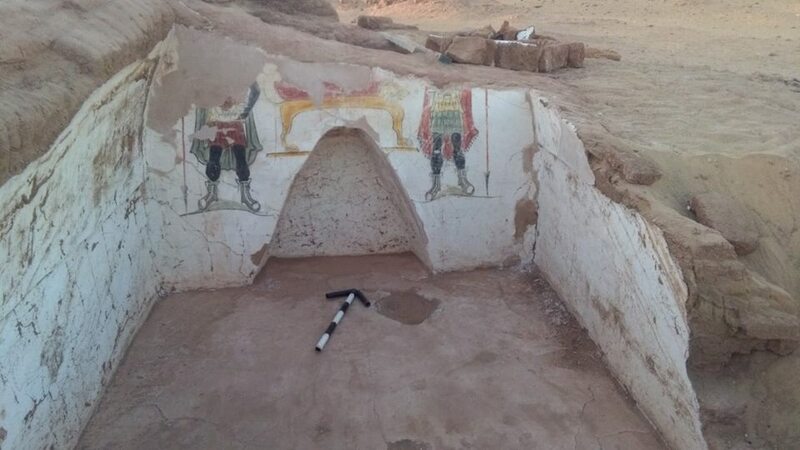 Egypt’s Ministry of Antiquities archaeological mission working at the site of Beer al-Shaghala close to the village of Mut in the Western Desert Oasis of Dakhla has uncovered two uncompleted tombs dating to the Roman period, and decorated with brightly painted scenes. The Roman era in Egypt began 32BC and extended to around the fourth century AD. Mustafa Waziri, Secretary-General of the Supreme Council of Antiquities, explained that the first tomb was built of sandstone and consisted of a 20-step staircase that led to the entrance of the tomb the main hall of which was built on an east to west axis. He pointed out that the hall was built of mud brick and its northern wall included entrances to two burial chambers, on top of which were found two other chambers that contained a number of human skeletons, clay lamps and pottery vessels. 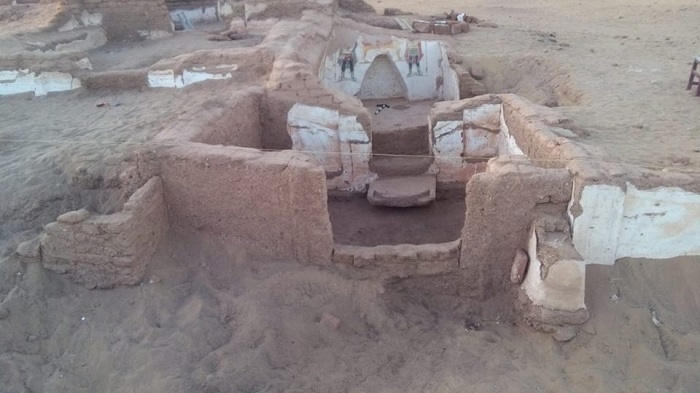 According to Ayman Ashmawy, Head of the Ancient Egyotian Antiquities Sector, the second tomb was located on the east side of the first, and was made of the mud bricks. It featured a beautifully painted scene depicting the preliminary mummification of the dead body. Dr Ashmawy explained that archaeological excavations began at the site in 2002 and continued for five archaeological seasons, where the mission succeeded to discover more than 10 incomplete sandstone tombs from the Greek era which lasted from the fourth to the first century BC.